Order payments are recorded in relation to sales orders and returns (credits). Order payments can be created in numerous ways including - manual entry, capturing via a payment gateway or downloading from a sales channel, or by marking the related invoice/credit as paid via the customer financial record. All order payments record the payment method, automatically create the accounting if applicable, calculate the order payment status and are listed on the order payments reports. Every time a payment is recorded against an order or return it will be listed at Sales > Order payments. If necessary, the accounting for the payment will also be created and the customer/supplier financial balance updated in the accounting module. Note: Where a payment is recorded in the accounting module and is not related to an order, no entry is seen on the order payment reports. Order payments can be manually recorded in Brightpearl back office. This includes payments captured outside of Brightpearl or payments captured directly in Brightpearl by using an integrated payment gateway. To enter manual order payments, payment methods must be set up. The payment method is used to control when an order payment is manual or taken via a payment gateway. Set payment methods up at Settings > Company > Payment methods. Click the Take Payment button, or Refund on a sales credit. Or if on a purchase order or credit click Allocate payment. From the fly-up menu, select the payment method to process the payment or refund by. Enter the details of the payment, or process the payment via the payment gateway app. Click the Submit button to finish. The order paid amount and status is automatically updated. You will see the order payment recorded on the order payment report (via the sales/purchases menu). If this payment is of type receipt, payment or capture then you will also see the relevant accounting journals have been created in the bank account assigned to the payment method. Allocating a payment across multiple orders is most easily handled by invoicing the orders and allocating the payment via the customer financials on the payment allocation screen. This will automatically mark all the orders as paid and create a single accounting entry for the payment amount so that it appears as a single amount on the bank reconciliation. This means opening each order and marking each one as paid. This will ensure all the orders are marked as paid but will result in multiple entries to the bank account in accounting, making the bank reconciliation process more difficult. This means that the payment is recorded and accounted for as a single amount, however, this one order will appear overpaid and the others not paid. You will need to invoice all the orders and distribute the payment across the orders later. Before a payment can be entered from within an order, at least one payment method must exist. Go to Settings > Company > Payment methods. Click to add a new payment method. Name - This is how the method will be seen in Brightpearl. Code - Used for matching payments received via apps. Link to a payment gateway - Linking a payment gateway app will trigger the payment processing window to display when this method is selected. Bank account - Specify which bank account code the accounting should be posted to. Editing the name will cause all historical order payments to go by the new name. It is not possible to edit the code. This is used to link downloaded payments and may break integrations using it if it is changed. Use this to activate/deactivate the payment method. Only active payment methods are available for processing payments. This can be changed to switch the payment method between a manual payment entry and payment gateway option. Edit the bank account to change where accounting is posted. This will only affect payments entered after the changes are saved. If a difference code is desired then the payment method will need to be deleted and re-added. If the method has already been used then it can be inactivated and a new method created. Once a payment method has been used (order payments exist) it can not be deleted, only inactivated. 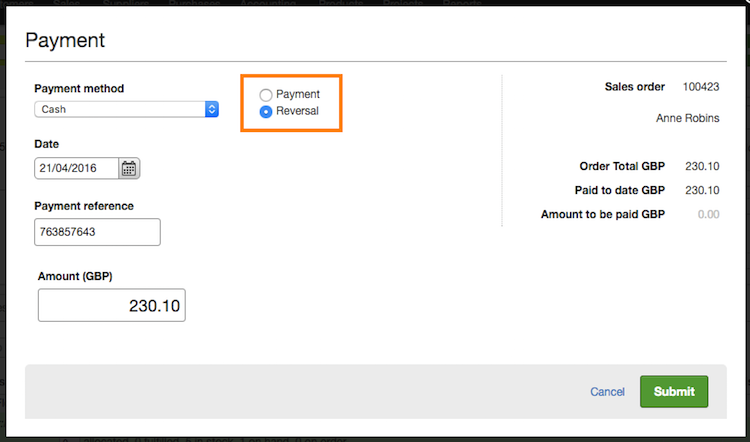 An inactive payment method will not be displayed as an option when entered payments against orders. All historical order payments will continue to be reported with the inactive payment method name. Note that is a payment is sent via the API using an inactive payment method code, it will still be used. A payment gateway app allows payments to be processed via a payment provider directly within Brightpearl. Once the payment gateway has been installed and configured it must be linked to a payment method in Brightpearl. The payment method indicates which bank account should be used for the accounting and also activates the payment processing portal. When taking payment on a sales order, selecting a payment method which is linked to a payment gateway will trigger the payment processing gateway to be displayed so that the payment can be processed. Once the payment has been processed via the gateway the order payment status will be automatically updated. The order payment will be listed on at Sales > Order payments. Note that payment gateways are not active for purchase orders. 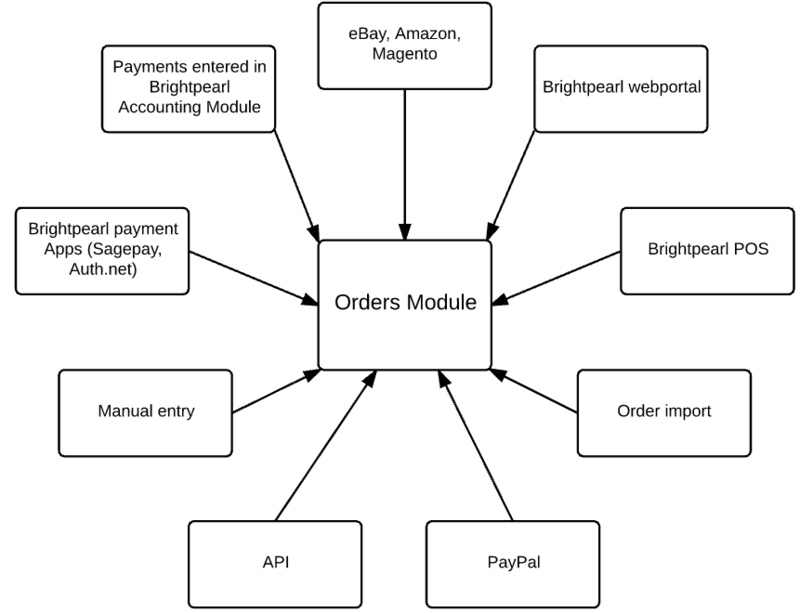 The payment status of an order is automatically calculated by Brightpearl depending on the order payments which exist for it. For example, an order can have multiple payments against it, but they don’t yet equal the order total, this means it’s only part paid. Not applicable The order total is zero and therefore no payment is required. Not paid No payment has been taken, or the sum of payments, receipts & captures add up to zero. This status will also be used where the order is also only part authorised. Authorized 1 or more auths have been taken which add up to the full order total. Part paid The sum of all payments & receipts is less than the order total. Paid The sum of all payments & receipts adds up to the order total. 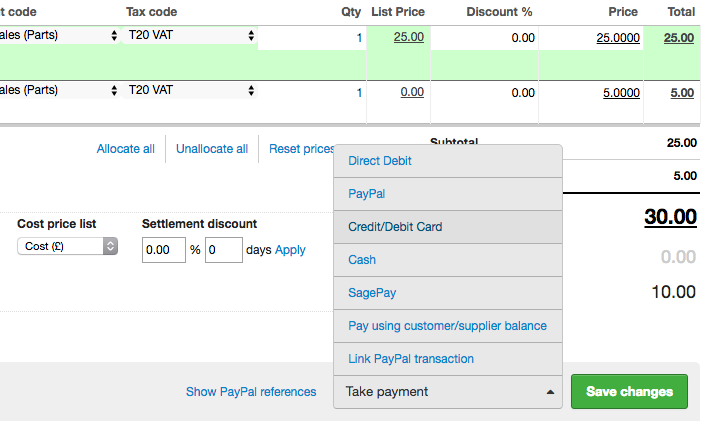 The payment type is used to calculate the payment status of an order, trigger accounting creation when relevant and offer additional actions when applicable. If a payment is recorded against an order for more than the total order value it will look overpaid. When the order is invoiced the over paid amount will be separated from the order and added to the customer account as an on account balance which can be used in payment against any invoice at a later date. It is not possible to amend an order payment after it has been entered. However there are 2 options available. You can either delete the order payment completely or enter a reverse payment. Search for and open the account journal for the payment to edit. Enter a reason for modification. In the confirmation box check the box Delete linked order payments and type CONFIRM. Reversing a payment will not refund a payment processed via a payment gateway. It will only record the reversal in Brightpearl. Open the order or credit. Click Take/Make payment or Refund. Select the date on which to record the reversal payment. Enter the amount (positive value). Go to Sales > Order payments, or Purchases > Order payments if it’s for a purchase. Search for the payment using the filters. Click Reverse in the actions column. I paid the wrong order, how do I fix it? It is not possible to move the payment between orders so it will need to be reversed or cancelled and then re-entered against the correct order. You will need to check the type of payment which was created, since only some payment types create accounting, for example, a payment with the type “AUTH” signifies a pending payment which hasn’t yet been captured and therefore would not have an accounting journal associated with it. Go to the payment report and cancel the original payment. A new entry is added to the payment report for the reversal, click the journal ID associated with the reversal. If no journal ID was created then no accounting was created and you can skip the next step. Cancel this journal. Since the original journal was never created, the reversal journal is not required. Go back to the order and process the payment again. Check that the payment accounting was created this time.